Ha. Quick glance at it and I was fooled. You are correct. Has the same pattern as the harper. I think that is the Beneficial building then behind rittenhouse square. That's actually the United Engineers Building/United Plaza/Duane Morris Building. Beneficial is just outside of this pic to the left. But again similar facade with a quick glance. Now THIS is an angle from which I would agree that this building looks like it's always been there. A public Facebook group to promote appreciation of Greater Philadelphia's industrial and commercial history and advocate for historic preservation and adaptive re-use. The last picture in the brochure shows a 'Future Site Development' Lot on 22nd and Market...is that something new in the works?? I remember there were plans at that area at one point but they fell through. Nice. This makes it look like the base material is stone, though. And that's not what the cladding going up looks like. What is Retail B, which is indicated to be "At Lease"? I don't think that tenant has been announced?? I talked to Pearl yesterday. We're listing our condo in April and, I guess, going to rent for a year or whatever until some of the interminably slow new construction we're looking at is complete. The Harper is one of the top candidates. 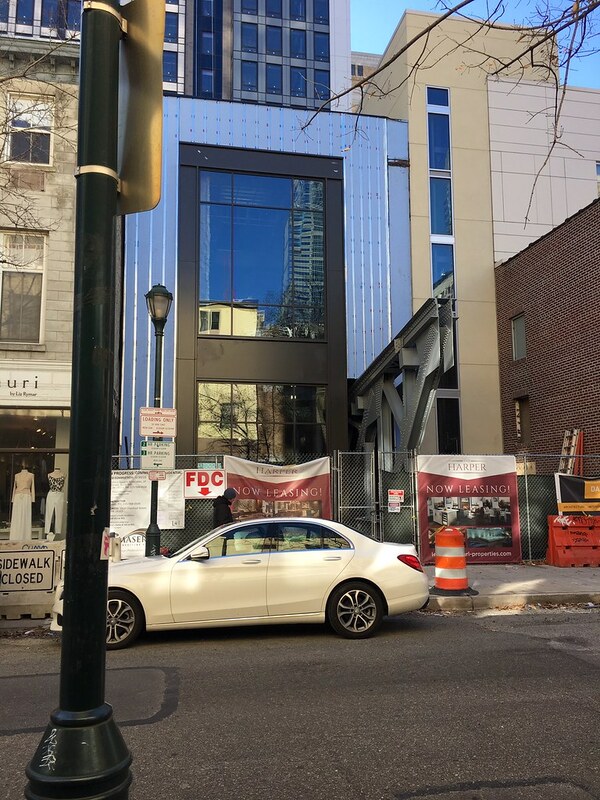 I don't think the building will be completely finished then, but Karen Pearlstein says the top floors will be ready for occupancy on June 1. She says "We open 6/1 from the top down." Seller's market? Harper should have some really good views. Put some up after you settle in...LOL. I guess it is still a seller's market. Probably not as much as it was last year, but I hope we can move it quickly. Will do re view pictures if I end up at the Harper. Should be good views, I'd think. Facing Market, Comcast etc... in one direction and the Square and the Laurel rising in the other direction. Not sure what the specific units we'd want have . Cool...good luck with it all. Will someone please tell Bryce Harper that we've named a building for him. Having a temple to go to for your faith certainly doesn't hurt, but that amount of obscene money that the organization spent sure as heck helped acquire him. Philly needed to step up big time and they sure did! Last edited by iheartphilly; Mar 3, 2019 at 4:02 AM. I don't think they have to fireproof that truss, since it's no longer a functional structural element. If they had, the fireproofing material would have given it a very rough, crude texture, not at all eye-pleasing. I saw that they painted it a while back and I believe that gray color is the final product. Still wondering when they're going to complete the marquee above the Chestnut St restaurant entrance. They did a wonderful job with the etched Art Deco glass* above, but the cartoonish, flat 3D-ish painted depiction of neon on the marquee has got to go. Then again the restaurant is running a bit late as well, to have opened Fall 2018. Last edited by Jayfar; Mar 27, 2019 at 11:05 AM.